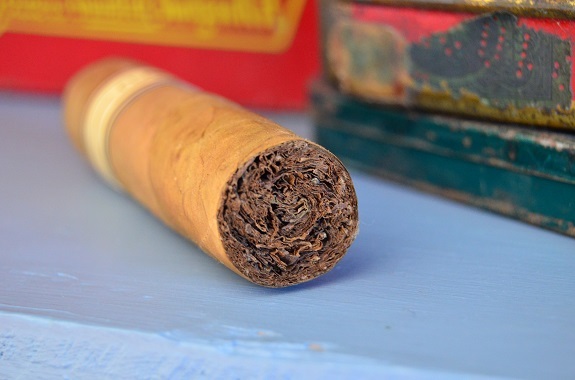 Nub – the cigar some would say is gimmicky, is a staple in most cigar shops these days. 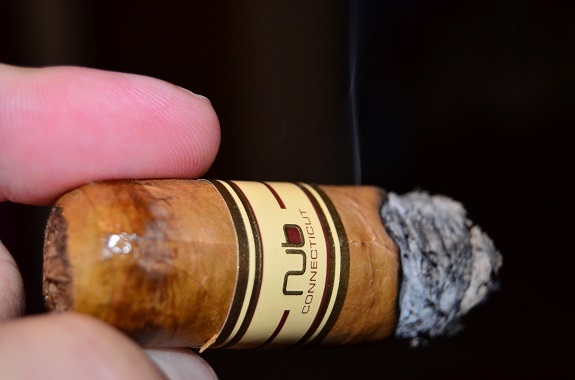 And even though big ring gauge cigars can be traced back pre-2008, there is no question that Nub set the trend and paved the way for the rest of the market. These short and stocky cigars draw the attention of new smokers and are still found in the regular rotation of seasoned cigar smokers alike. 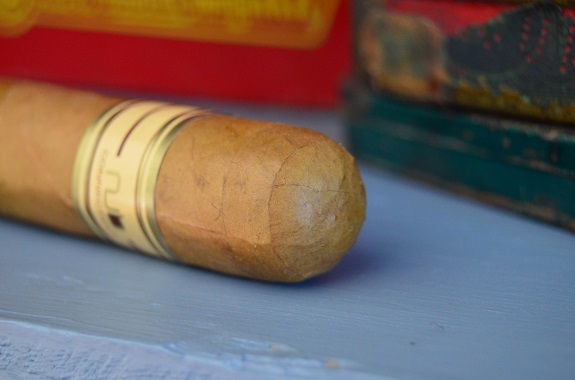 Produced in Nicaragua at the Tabacalera Oliva De Esteli S.A. factory, the Nub line is available in Connecticut, Cameroon, Maduro, Habano, and Sumatra wrapper options. There is also a limited edition double Maduro called Nub Dub. The Connecticut version frontmarks include 354 (3 3/4 by 54), 358 (3 3/4 by 58), 460 (4 by 60), and 464T (4 by 64 Torpedo). 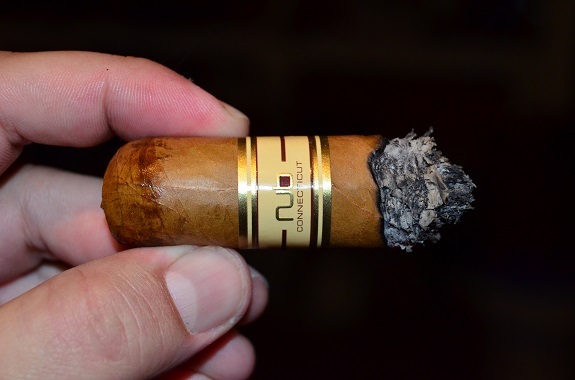 You can give the Nub Connecticut 358 and 464T a try for yourself in the Nub 8-Cigar Sampler from our good friends over at Holt’s Cigar Company. 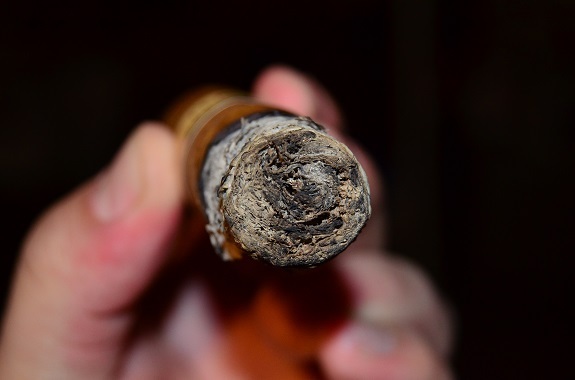 The Nub Connecticut wears a golden Connecticut Shade wrapper that has some darker markings and veins running the short length of the cigar. As I gently press down on the cigar, I find it to be evenly filled with only the smallest amount of give. Bringing the wrapper to my nose, there is an aroma of earth and barnyard. The foot shows off sweet tobacco, earth, and black pepper spice. The double cap has clean lines and cuts with ease. The resistance is well within the acceptable range, possibly a hair on the firm side. A cinnamon spice warms up my palate and overshadows any other cold draw flavors that may be going on. 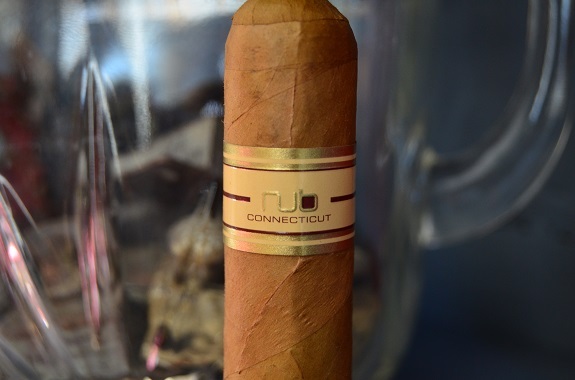 This Nub Connecticut opens with solid medium flavors with earth and pepper central in the profile. The spice heat is medium and lingers on the palate as a natural tobacco sweetness pushes its way into the profile. There is a thick burn line that is mostly even as a salt and pepper ash forms. Burning down into the second third of the Nub Connecticut 358, both the earth and pepper shift up a notch. There is only a touch of that common Connecticut shade bitterness and it is working well with the core flavors. It is at this point in the cigar that I am surprised to be feeling a little nicotine kick. Into the last third, the profile is much lighter allowing the sweetness to shine through as well as the bitterness. A shallow draw and allowing additional time between puffs are needed to keep the bitterness at bay. The thick eyeliner burn from earlier is now thin and edgy as a gray ash develops that holds well. There is no concern about dropping the ash prematurely in your lap or on your keyboard. 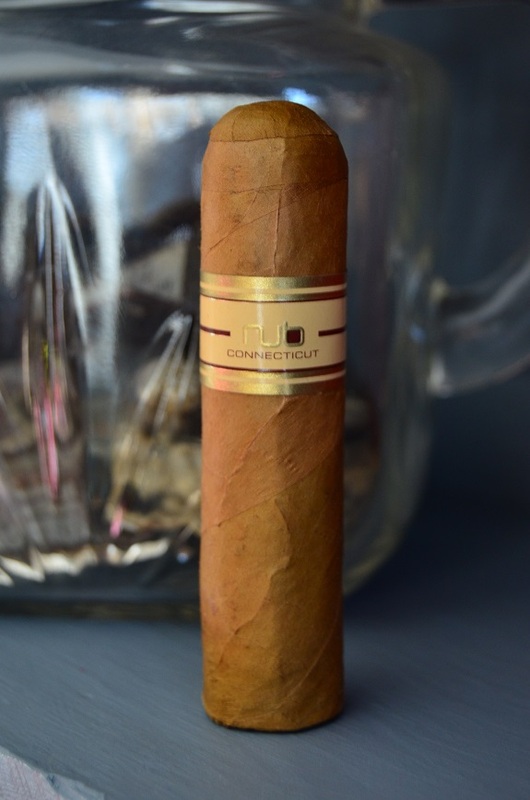 The Nub Connecticut 358 by Oliva Cigar Company opens with a solid medium profile, kicks up a notch or two in the second third, and then mellows out in the final third of the smoke. The profile was characterized by core flavors of earth and pepper with a nice tobacco sweetness to round things out and a touch of Connecticut bitterness to remind you what you are smoking. The performance was impressive with its even burn and only two ash dropping during the fifty-minute smoke. So, how would I line up the cigars in the Nub 8-Cigar Sampler? If I would’ve guessed which Nub cigars I would’ve liked the most before smoking any, the list would have been in the complete opposite order. The Nub blend shined with the lighter Cameroon and Connecticut wrappers.